Happy Friday!!! Hello everyone, it's time for our Friday Challenge for August!!! 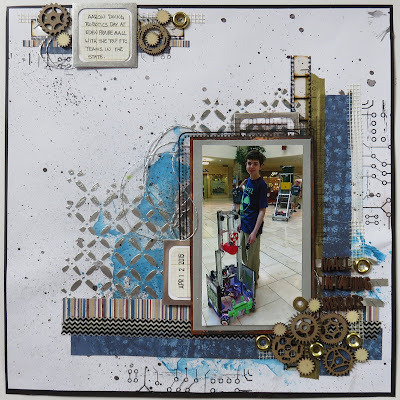 First, though - we have some winners to announce from our Friday Challenge 53 in July which was based on a sketch from our friends at Sketchabilities. Hi Donna Coughlin here with a challenge for you for Quick Quotes (see below for details). My challenge is make a layout or card with repeating shapes! I had a bunch of miscellaneous pictures that didn't really fit any theme, so I thought this was a perfect way to scrap them. It really shows all her personality, sweet - shy - playful - and quiet! Here is a closeup of the cluster. 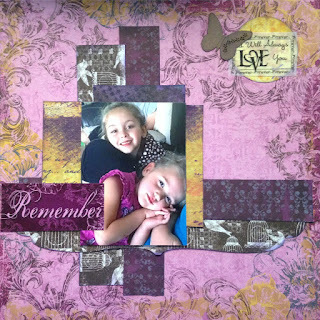 I used Quick Quotes Sheer Joy Chipboard and Petaloo flowers and fiber. Also you can see the stitching I did around the large circle. Be sure to enter this month! This challenge is to include 3 repeating shapes, any same shape repeated 3 times can be used, be creative! 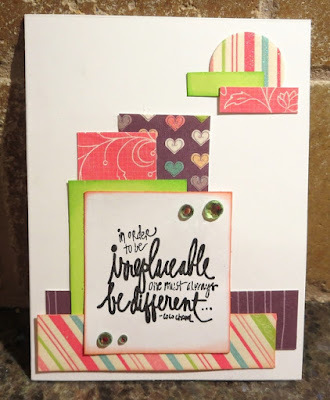 I'm so excited to see I was the lucky winner of the fabulous Quick Quote prize this month. Thank you so very much!!!! I have emailed you. Yay! 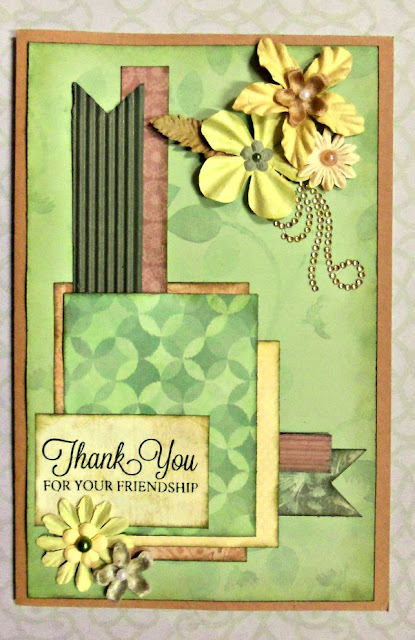 Congratulations to Janis for winning with that gorgeous card and thanks for picking my card as one of the Top 3!! Love your fun challenges and this new one is a great inspiration!